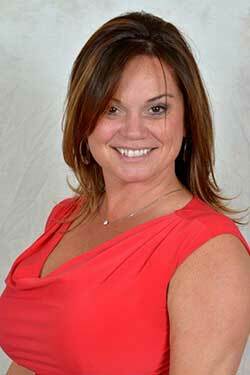 Sabrina O’Brien brings over 25 years of financial knowledge and expertise to Fidelity First Home Mortgage Corporation. Before joining the mortgage industry, she assisted consumers with budgeting and investment planning. In addition, she spent more than 10 years designing Customer Loyalty Programs for Fortune 500 companies including Harley-Davidson, Kohler and Sharp Electronics as well as for Government contractors. As a mortgage consultant, she focuses on Credit Repair first, Debt Consolidation, Self Employed Income, Government intricacies and Bankruptcy Candidates. Sabrina graduated from the University of Baltimore with a Bachelor’s degree in Finance and minor in Accounting. Sabrina was very helpful in organizing my finances a few months ago. I was impressed with her knowledge of financial planning and would not hesitate contacting her in the future! Sabrina was…instrumental in pointing me in the right direction to start cleaning up my credit history. From the very beginning of the loan process, I felt as if I had known her forever. She is very easy to talk with, and definitely non-judgmental of my past financial blunders. I know she will be there for me as I work to clean up my credit history.